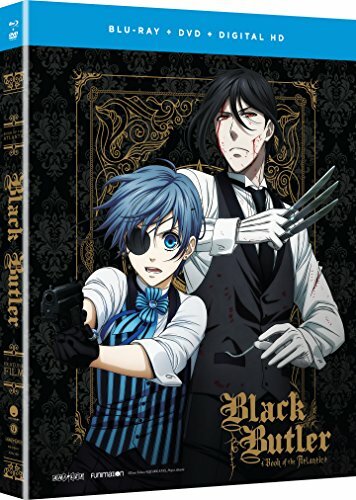 All aboard to the next great adventure for Ciel and his demonic butler, Sebastian! After hearing rumors of a peculiar society bringing people back from the dead, the two board the luxury liner Campania on her maiden voyage to investigate. Incognito amongst the mysterious Aurora Society, they find familiar faces and a sight they can’t believe—a woman raised from the dead! But surprise quickly turns to dread when the shambling corpse attacks. With more questions than answers, Ciel and Sebastian are up against not just one flesh-hungry corpse, but hundreds. Worse yet, the flamboyant reaper Grell and his new partner, Ronald Knox, stand in their way. Time is running out to solve this mystery, and if the demonic duo doesn’t act fast, they’ll be treading some seriously rough waters. Who could be behind this daring necromancy—and are they ready to find out?